Many folks think of public values and attitudes as passing fads. But there is actually a well-worn path for inculcating changing values and attitudes into American society through public administration. Yet unlike a passing summer thunderstorm, some changes in values and attitudes take root in the common psyche of current and future generations. Exemplified by partisan politics in the Republican and the Democratic National Conventions, there is no more a clear-cut definition of what American Society is like now than in previous decades although the split appears to be widening. 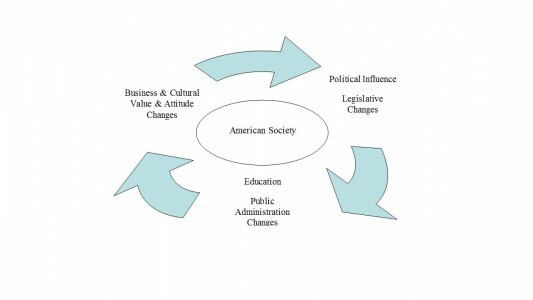 Figure 1 displays a path that changes values and attitudes through political action into laws and education, cycling back and encompassing American society. In 2012, the Pew Research Center found that public views about race, homosexuality, gender and family underwent fundamental shifts in the last quarter century. To many baby boomers, this fundamental shift appears to have taken American society by surprise, if by conspiratorial coercion. But the path is that civic minded individuals transmit their group’s views into political action that is then enacted (or not) by our local, state and federal legislatures into law. As far back as 1949, Reinhard Bendix’s Higher Civil Servants in American Society contended that the idea the American public administrator is not neutral runs against publicly held beliefs. In my studies of both Democrats and Republicans administrations, American public administrators are just people displaying an idealism for the public weal and concern for the public good. You will have some using their office for public gain. However, the system itself is ours, as Abraham Lincoln said in his Gettysburg Address—of the people, by the people and for the people. However, there is no doubt that shifting values and attitudes can and does unbalance the precarious stability of the citizenry in society whenever and wherever they occur. In the business sector, Reinhard Bendix states in Force, Fate, and Freedom that over the past two centuries American management ideologies changed from dependence to laissez-faire to Social Darwinism to a human relations approach. Such changes were not always either in series or clearer cut than the 1969 Woodstock Festival or sides in the 1968 Penn State Riots. Americans were neither caricatured as “Austin Powers” nor evangelist Billy Graham. Most fell somewhere in between. Yet for private and public management, there was a gradual progression. Figure 2. The progression of management ideologies. Merging Figures 1 and 2, we might be able to see an odd collectivity appearing between rich and poor, management and employees. Reinhard Bendix writes in Work and Authority in Industry that ideology doesn’t depend upon common social and economic experiences in order to develop common ideas to engage in collective action. The emphasis is placed on when individuals join organizations, leave divergent interests behind and abide by the obligation upon entry to a workplace or group of the achievement of organizational goals, constantly jeopardized by an individual’s efforts to work to his own advantage. Group membership heavily influences changes or development of an individual’s ideas and commitment to a new state of mind seriously impacting the infrastructure of an administrative state. However, membership (formal or informal) in organizations is just one dimension in a multidimensional world encompassing globalism. On the American scene, there is discussion that ideology such as Black Lives Matter is a movement and not a group with membership. But the change in values and attitudes effect is the same. On the international scene, ISIS prides itself on inspiring individual action; therefore, whether a movement or a group, the ideology is the same. Depending on individuals banding together under whatever banner, changes to the American public administration infrastructure can then produce a co-dependence in values between the poor and the middle class (the rich being in the minority). That co-dependence might produce either support for or walls built against immigration. In The Deming Route to Quality and Productivity, William Scherkenbach rhapsodizes that previous generations promoted melting pot thinking quite successfully. But particularly in the last quarter century, American society has morphed from a European background pastiche to an increasingly multiracial collage demanding a multicultural outlook. Bruce Thornton, writing for the Hoover Institution, highlights that such cultures in American society possess diverse societal values and attitudes contributing to spurts of dominance that have changed the American melting pot into a salad bowl. Warm cozy melting pots connote a rather staid vision of assimilation, whereas cool salad bowls have a more open (and definitely riskier) connotation. In The Social Psychology of Organizations, Daniel Katz and Robert Kahn strongly advocate open systems because they maintain through constant commerce with the rest of the world. It would behoove us to positively view the American public and political environments no longer as a concrete jungle or a rat race but rather as a dynamic and exciting jungle that makes a healthy salad. Author: Michael Baker, Ed.D. can be reached at [email protected]. Excellent. The article is very heuristic to the readers as well. 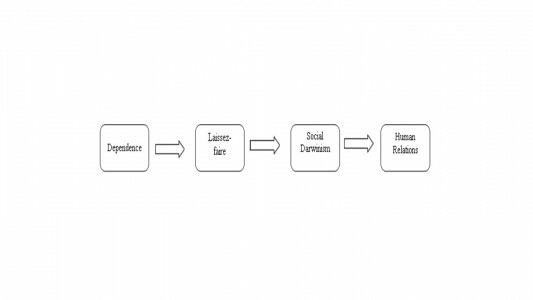 The themes identified based on the two models (figures) are coherent and unifying. The conclusion based on a change of the American society from a ‘melting pot’ to a ‘salad bowl’ is very persuasive. The change may deserve a further empirical verification in order to identify the ‘patterns’ of American political and administrative culture, encompassing values/attitudes of the pluralistic American society and people. Fascinating…American society is very equipped to deliver anyone’s needs/wants for the right price and quickest delivery! The spoils of our own machines ran by the oil that we spilt blood for ….and for who? Its no longer about the history or the “truth” anymore. It’s about the exact time it happened and who it was reported by. Everyone wants to be on a team. A very interesting article on human nature evolving.